The American sealer General Gates – named for a War of Independence general and commanded by Captain Abimileck Riggs – had sailed from Boston in October 1818. 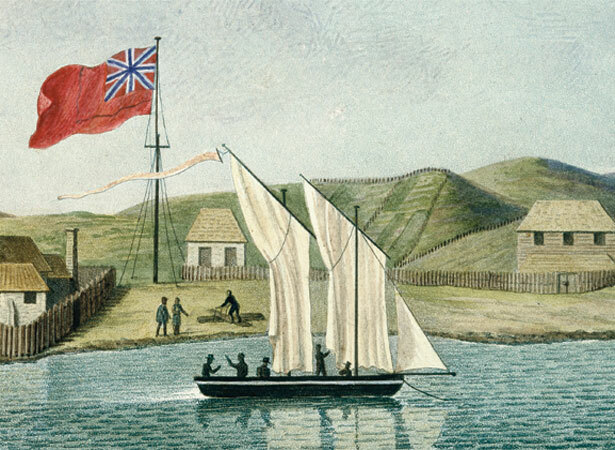 In July 1819 the General Gates brought the missionaries Samuel Marsden and John Butler from Sydney to the Bay of Islands after Riggs induced 11 convicts to sign on as crew. Riggs dropped off two of these men with a sealing gang on an isolated island in the Southern Ocean, but the other nine were still on board when HMS Dromedary visited the Bay of Islands in April 1820 during a voyage to investigate the suitability of New Zealand timber for Royal Navy spars. Riggs had treated the men badly and his cover story soon unravelled. In the first official coercive operation undertaken in New Zealand, he and the General Gates were seized and returned to Sydney, where Riggs was fined heavily and the vessel detained for nine months. We have 3 biographies, related to General Gates sent to Sydney under guard .